You are here: Home / Blog / Packet Pushers Podcast – Show 12 – Get On The Ring! Packet Pushers Podcast – Show 12 – Get On The Ring! Dan is down with the flu, so Greg and Ethan bring Brandon Carroll on board to discuss the news of the week in an abbreviated program. We tee off on whether we network engineering types abuse our unbridled power to access information we ought not to. Read the story that spawned this introspective discussion, and prepare to be shocked by some extraordinary admissions. We talk about GestaltIT.com’s Seattle Tech Field Day, where Ethan was a delegate. 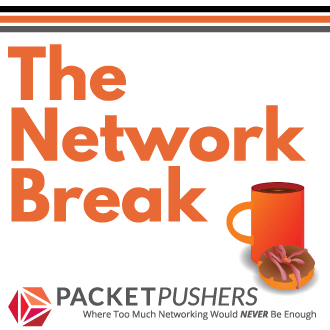 As Greg puts it, “Networking doesn’t live alone,” which really brings home an important part of this TFD: storage guys, virtualization guys, and network guys all need to learn more about each other’s worlds. At the F5 Technology Center, F5 live-demoed to the Tech Field Day delegates their F5-enabled VMotion of a virtual machine between data centers. Ethan talks about it, using an invisible whiteboard and wild hand gestures. If you close your eyes and concentrate really hard, you can see it all quite plainly. But seriously, it’s really cool technology…we talked about it in an earlier PPP. The buzz around FCoTR was huge at Tech Field Day. We’re encouraging PPP listeners to get on the ring – it’s early as the 802.5qZ draft is not yet up for standards consideration, but incredibly relevant to the storage and networking communities. A new survey shows Cisco out in front of the IPS market, but the Pushers are a little flummoxed by their overall security direction and lack of product integration. Are we missing something? 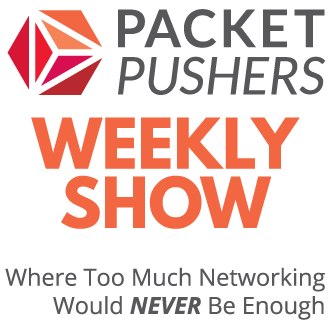 As always, follow the show on Twitter @PacketPushers, send your deepest, darkest networking thoughts to [email protected], and submit your comments below. We’re going to do a better job of responding to comments, we promise. Except Dan, because he best be focused on getting better right now!